August 20, 2015 by Lynette M. Fraga, Ph.D.
As August winds down and we get ready for a new school year we all have plenty of tasks to cross off our “Back to School” list – getting school supplies, nailing down school and activity schedules, hurriedly helping our children finish their summer reading, and even sometimes helping our children start their summer reading! But at Child Care Aware® of America, we’d like to add one more item to your list. And we promise it’ll help with school readiness…for all children. We know that early childhood education and child care promotes school readiness, which increases the chances of strong academic performances and subsequently higher graduation rates. But investments in early learning opportunities are vital to the growth of our economy and are lagging behind where they need to be to fully fund states so they can comply with new CCDBG requirements. 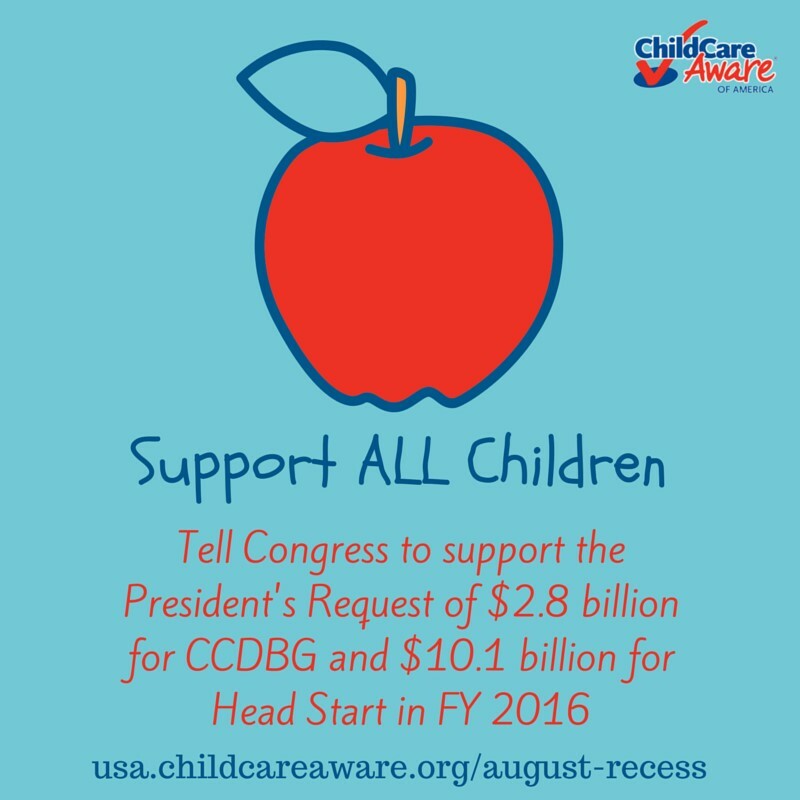 In addition to fully funding CCDBG, Child Care Aware® of America also encourages you to support the President’s request of $10.1 billion for Head Start. 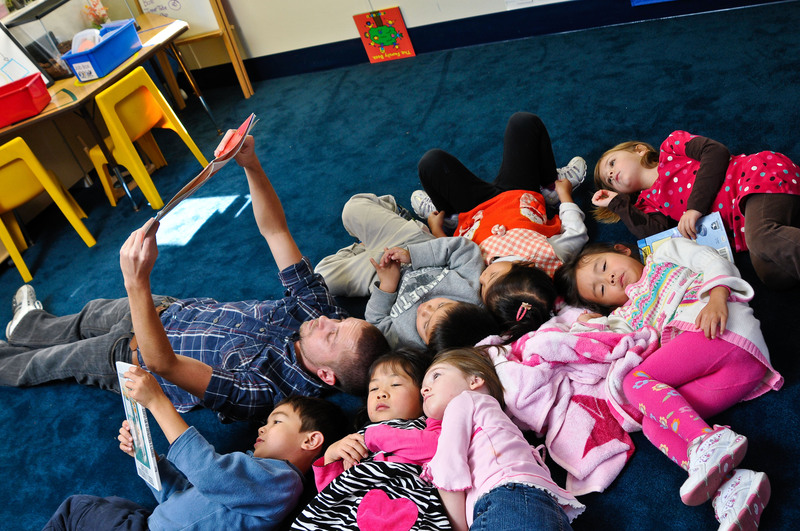 Funding for Head Start will help expand access to critical early education programs for low-income children, as well as expand the Early Head Start-Child Care Partnership Program. Both of these budget items are critical for the future success of our children. The last item on your “Back to School” list for all children is to contact your member of Congress and ask him or her to prioritize children in the federal budget for next year. And pre-written social media posts and graphics. Send a message to your member of Congress today using our online action center! August 3, 2015 by Lynette M. Fraga, Ph.D.
We’ve seen recent numbers showing that rates of obesity are continuing to increase among some low-income children ages 2-5 – but there is hope on the horizon. New results from the first of its kind study show that obesity measures significantly improved among children ages 2-5 who participate in Head Start Center-based nutrition and healthy living programming, such as Thriving Communities, Thriving Children (TC2), when compared to children not in the program. This is both a welcome relief and an upcoming challenge as government funding for these critical health and nutrition programs come under fire. Child Care Aware® of America recently received funding from the Robert Wood Johnson Foundation to expand technical assistance activities in targeted states along the same lines – focusing on health, nutrition and obesity prevention as part of the Child Care and Development Block Grant (CCDBG). We’re excited to launch this partnership and do the important work of educating CCR&Rs and community partners on health and early care and education. July 23, 2015 by Lynette M. Fraga, Ph.D.
Research has proven time and again that talking to children, especially when they’re still too young to speak, gives them a leg up when they reach school age and beyond. 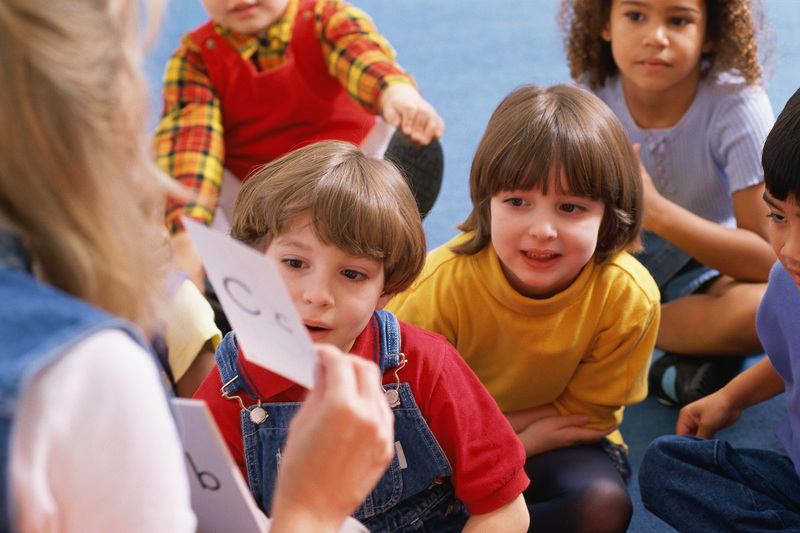 Talking to children and encouraging them to engage in discussion using the words they do know will help them grow their vocabulary and set the pace for their educational development moving forward. 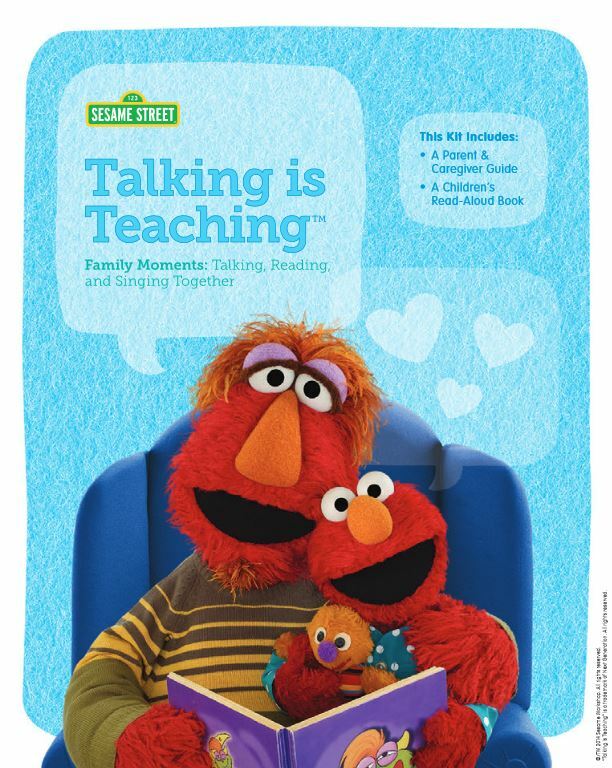 Health and Human Services, Department of Education, and Too Small to Fail have just launched a new toolkit for families, providers and health professionals to help them engage children in speech: Talking is Teaching: TALK, READ, SING TOGETHER EVERY DAY! 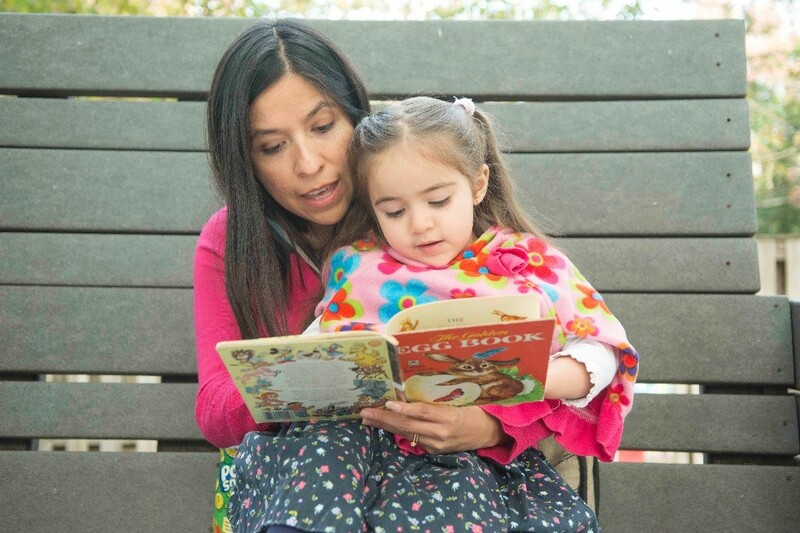 The materials come in English and Spanish and were completed in partnership with Sesame Workshop and the American Academy of Pediatrics, and they include a roadmap of speech milestones for children birth to age five so parents and caregivers know what to look for in speech development. Check out their milestone road map online, and then download these amazing tools to start engaging the children in your care in language growth – then share these resources with the parents and providers in your community! July 10, 2015 by Lynette M. Fraga, Ph.D. 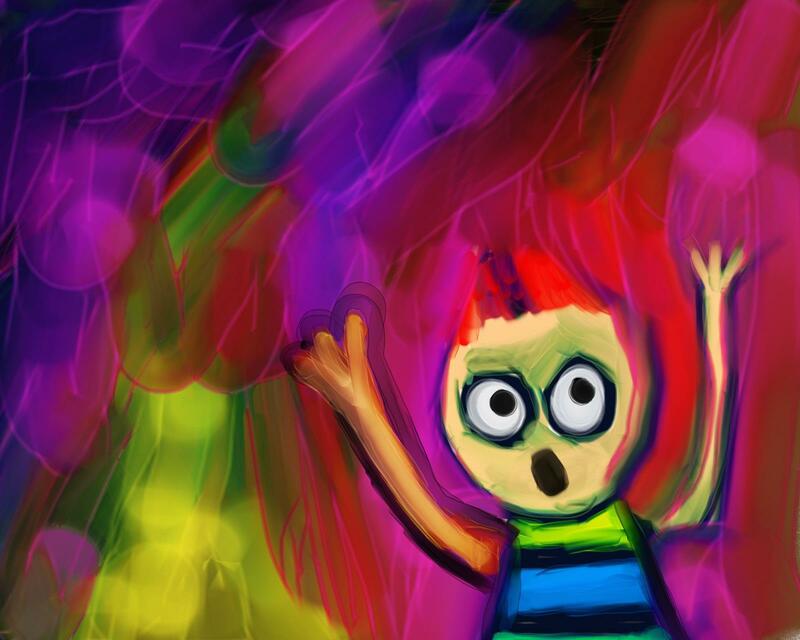 There have been a lot of articles floating around online about the exploration of emotional development of children since the release of Inside Out, Disney’s new animated film based on the personification of an eleven year old girl’s emotions. Some have the perspective of using the film to look into sadness and depression while others talk about the science behind the emotions and how they interact to create reactions and behavior. One perspective I particularly appreciate is that of Claire Lerner, LCSW, at ZERO TO THREE. She focuses on the complex emotional lives of children as shown in the movie, and shares tools that parents (and child care providers) can use in their everyday lives to help children deal with their feelings and grow into emotionally aware adults. 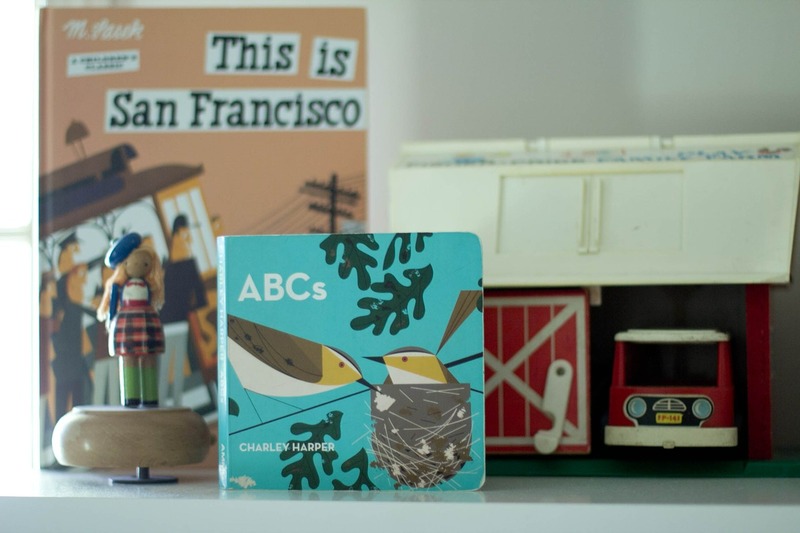 Her post, Inside Out: A Film for Parents of Young Children, Too, is a must-read for all child care providers, early childhood educators, parents and others who interact with or care for babies and young children.